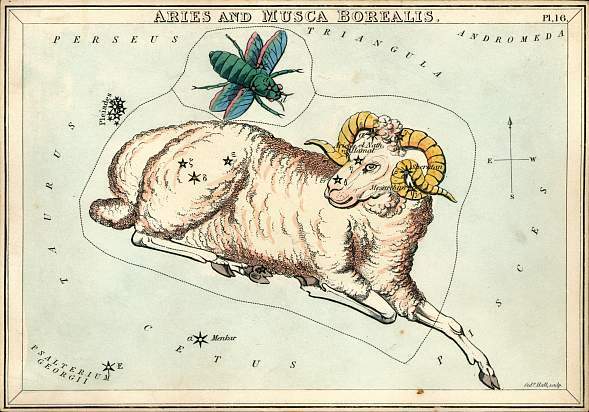 As the Moon in Aries angles towards powerful Mars and cautious Saturn, we may be undecided about a course of action. The lively Aries Moon aligns positively with upbeat Mars, allowing for inventive ideas to percolate to the surface. And although the Moon also angles towards sobering Saturn, other bright influences can offset any limiting thoughts and allow you to come up with some brilliant solutions. You may also feel good for triumphing against the odds, even if only in a small way. The trick to making the next few days as pleasant as possible may lie in encouraging another to talk about what's on their mind. If someone has seemed evasive, you may wonder what you have done to invite such a response. 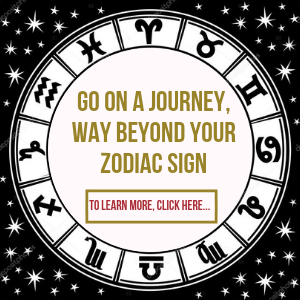 However Taurus, it's more than likely not you, and that availing them of your insights and natural goodwill might ease their troubles more than you realize. The Moon in your social zone can encourage you to lead with your heart rather than your head when in conversation. However today, you might find that what someone really needs is a pep talk that can help them to get a fresh perspective on a current issue or plan. If you can deliver this, you might discover you not only inspire them to keep trying, but motivate yourself too Gemini. Dreams can give a vivid impression that might not appeal to logic, but certainly to your intuition. Indeed, your horoscope suggests fragments of a night reverie can merit more than a passing glimpse. And the Sun's tie with thoughtful Mercury, can bring illuminating guidance regarding how you might take advantage of a talent that you may have been too modest to admit to. With the Sun in your social zone, you may feel very at home with yourself, which can translate into lively and pleasant interactions. Socially, this may be one of the better times to organize an event and bring people together, as long as you clarify the details to avoid a misunderstanding. The sense of fellowship that stems from such activities could lead to positive new friendships. The Moon's tug-of-war with cautious Saturn, could lead to you feeling at odds with a certain person. If so, it may be because you have your mind set on one outcome while they may be of a very different opinion. Nevertheless, if they could show you proof that there is an easier way to accomplish your goal, would you take it, or stick with your plan? The answer may be revealing. A relationship that has shown promise could develop in strength over coming weeks, which may be pleasing, especially if you'd been wondering whether there was any mileage in it. Whether it's a social event that brings you together or a hobby or other pursuit, the net result may be that this friendship develops in significance for both of you. You may be greatly inspired by each other too. Although the present backdrop might coincide with a potential disagreement, someone can see you as a source of excellent advice, even if you are wary about sharing it. However, anything you can contribute may be well received, especially if it comes from your own experience. Failing this, any discerning insights could also help them find closure Scorpio. This can be a good time to make small daily changes that build over the months ahead, and that could become a part of your life over the long-term. However, there may be a side of you that is reluctant to change, and that conflicts with more progressive ideas. There might come a point though, when staying as you are can seem more difficult than leaving your comfort zone Archer. 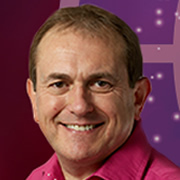 Although the present alignment suggests you may be busy with demands on you, a sociable blend of energies can see you taking time to chat to a colleague or make the acquaintance of someone you know by sight, but have never spoken to. Moreover, such small gestures can leave you feeling upbeat and open to taking a relationship further, if it seems the right thing to do. With restless Uranus in the early degrees of your home zone, you may find yourself reflecting on how you can make positive changes to your domestic environment. This may not be as easy as it should be though, as you might relish the status quo and feel quite attached to the way things are and have been for some time. Yet experimenting with new ideas can be liberating Aquarius. The astrological picture suggests that if there has been a minor spat, the coming days could be helpful for resolving it. Doing so may not be as awkward as you assume, as a sympathetic Sun Neptune tie can encourage you to put yourself in their shoes. By doing so, you might better understand their motives, perhaps inspiring you to relate to each other with kindness.